Businesses need to be in close relationship with their customers for the continuity of their success. Especially in the sectors where the competition is intense, it is quite important for the companies to ensure that they are not forgotten by their target audience. In the summer months, which are considered as holiday period in the Northern Hemisphere, because people are inclined to travel and to be mobile, it becomes a critical issue for the businesses to be able to create solutions accordingly. Here are some best app marketing tips for the holidays. In this period, mobile apps take the first place among the channels from which businesses benefit to keep their relations active with their customers. Devices that are always being side by side with the mobile users, make the mobile app usage rate gradually increase. So, it can be said that it is possible for the businesses to provide their services to their target audience via a mobile app in the summer season, as well. 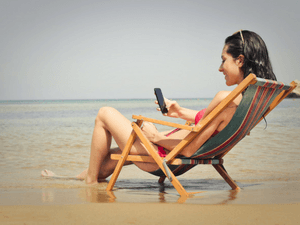 Here are the advantages of the mobile apps, the way of preparing your business for the summer. Statistics show that an average user spends more than 2 hours per day on mobile devices. It would not be wrong to think that this figure could also increase in the summer period. Therefore, it is possible to reach the conclusion that mobile app owner companies will also continue to keep in touch with their users in the summer period. One of the biggest advantages of having a mobile app is informing the mobile users easily about the developments such as promotion and special offers. Thereby you can be more interacted with your customers and make them benefit from your services even in the off-peak period. It can also contribute to the strengthening of your marketing efforts by allowing your customers to reach the business and the services you offer practically through the mobile app. You can contact with your customers regularly via a mobile app. Thus, by knowing that the users can find an interlocutor whenever they want, their confidence to your brand will also be riveted. Thereby, this situation will also be effective in strengthening your brand reputation by improving the mobile user loyalty. In the age of technology where mobile apps have entered every aspect of our lives, having a mobile app has become a necessity. If you do not have your mobile app yet, via MobiRoller you can have your mobile app within minutes. Create your MobiRoller account right now and stay in touch with mobile users in all seasons.